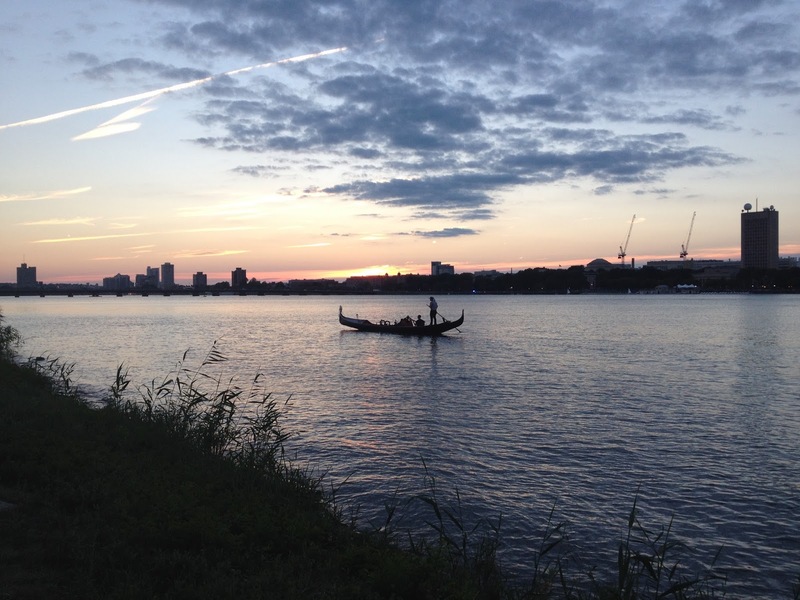 I don't know when the gondoliers and guitar players appeared on the Charles River. The Yelp reviews claim to go back a decade but there aren't that many of them and I just hadn't noticed until I bicycled through this Sunday. Maybe it was the sunset, maybe it was the last weekend in August.